One hundred and four years ago this week -- May 22, 1914 -- Herman Poole "Sonny" Blount was born in Birmingham, Alabama. In the early 30s he began a career in music. Moving to Chicago in 1945, Sonny played piano with R&B shouter Wynonie Harris and jazz greats like Fletcher Henderson and Coleman Hawkins. 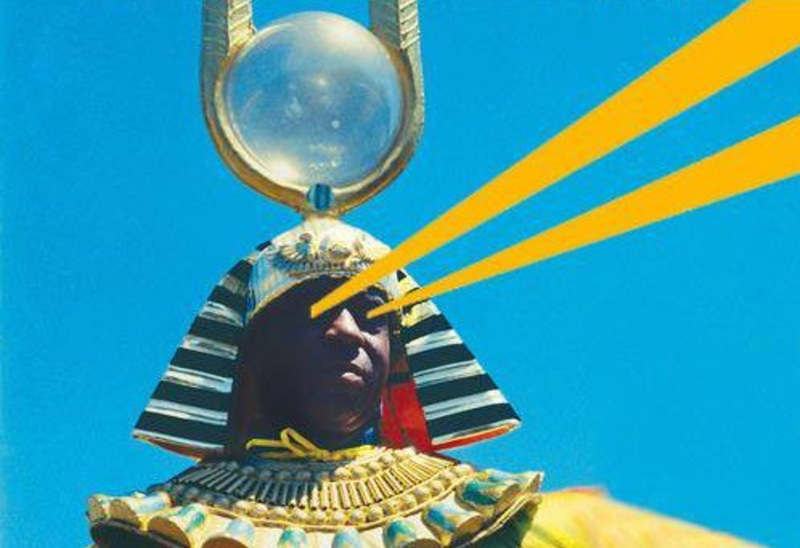 By the early 1950s, Sonny transformed into Sun Ra, a visionary emissary from the planet Saturn, sent to earth to preach a cosmic philosophy of peace and love. Like Sonny Blount, Sun Ra was a great musician. He formed an amazing musical collective called the Arkestra that played with him, in various forms, for the next 40 years. He and his band, usually called the Arkestra, dressed in a funny version 1950s intergalactica, with glittering hats (which, in fact, were spandax tank tops), robes and amulets that signified everything from Egyptology to outer space surrealism. Sun Ra made his performances a mixture of camp, pandemonium, seriousness and musical intelligence. Below are a couple of lengthy performances by Sun Ra and crew. 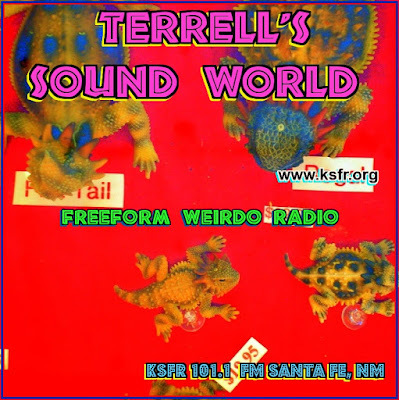 The first includes two songs from a 1989 appearance on the syndicated Night Music. Finally here's a fun little tune from Sun Ra's Walt Disney tribute album, Second Star to the Right. R.I.P Saturn man. May Mr. Bluebird always be on your shoulder. Correction: The earlier version if this post said Sun Ra was born 114 years ago. Actually it's a mere 104 years. Thanks to Facebook friend Russ for pointing it out.